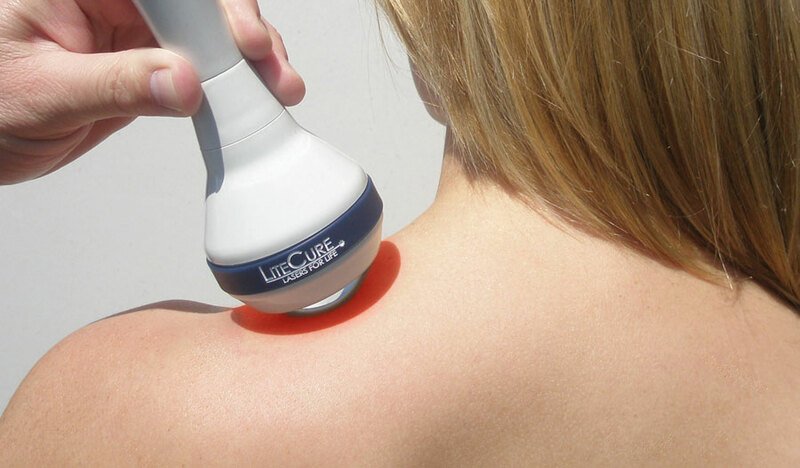 Deep tissue laser therapy is an exciting new technology that quickly relieves the pain of many health conditions and rapidly promotes healing through a process known as photobiostimulation. This process involves the application of deep, penetrating photonic energy via a hot laser, which is a completely painless and side-effect-free process. Laser therapy increases the production of an essential substance called ATP (Adenosine-triphosphate), which is responsible for cellular energy production. An increase in ATP production greatly reduces pain and inflammation and promotes accelerated healing. For more information about deep tissue laser therapy and how it can help you, please set up a consultation.